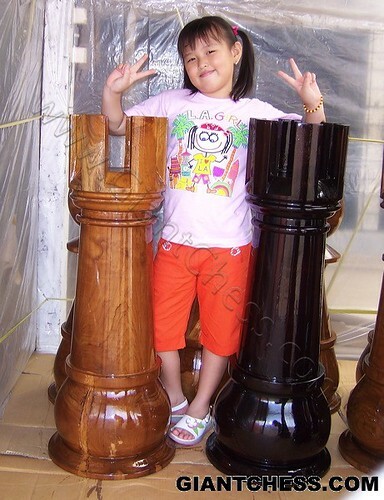 Try to use our giant chess pieces. Made from the best quality of Teak wood and carved by expert craftsman. Save for children and save for environment. Produce in giant size and polished in good color. Although it made from the strongest wood in the world, but it's easy to move and easy to clean. Get it now!